Gourmet whoopie pies are just the right size and full of flavor—not overstuffed, underexciting monsters. Photography by Jerry Deutsch | THE NIBBLE. WHAT IT IS: Elegant whoopie pies. 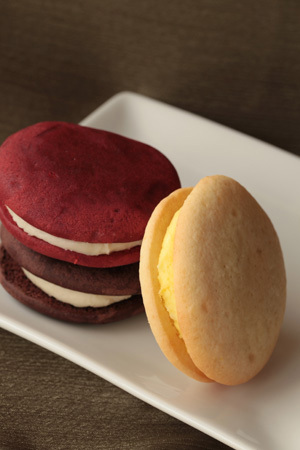 WHY IT’S DIFFERENT: Not overstuffed monsters, these two-inch whoopie pies, bursting with natural flavors, are just the right size for an indulgent treat. WHY WE LOVE IT: The cake is great—even red velvet, which we typically find ho hum—and the buttercream filling beats all the others out there. WHERE TO BUY IT: Buy Online Here. In an era of supersize-me treats—monster cookies, enormous slices of cake and jumbo muffins that contain a day’s worth of calories—Marisa noted that a larger size did not equate to a measurable taste experience. Thinking “smaller is better,” she turned her holiday cookie gift talents into a full-time business. She makes two-inch whoopie pies, instead of four-inch “standard whoopies.” As Marisa says, her treats are sized to fit your diet, not destroy it. We’re in love with the whoopie pies, and not just because it’s tough to find those worth their calories. Each sandwich of moist cake and buttercream is pillow of comfort. If you need even more comfort, WannaHavaCookie will supply you with chocolate chip cookies made with Ghirardelli chocolate chips, toffee cookies made with Bushmills Irish whiskey, linzer bars and other goodies in season. Every batch is hand-baked to order. You can customize your whoopies by cake (chocolate, red velvet, vanilla) and buttercream filling (chocolate, peanut butter, raspberry, vanilla). The seasonal special is a luscious lemon whoopie pie with lemon buttercream filling. 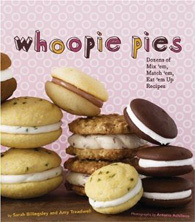 Send some to dads, grads and anyone deserving of a little whoopie. Read the full review below. Find reviews of more of our favorite cookies and brownies. Become a NIBBLE Facebook Fan. archive and our most popular articles. chronological order and product category. or receive fees from manufacturers for recommending them. Our recommendations are based purely on our opinion, after tasting thousands of products each year, that they represent the best in their respective categories. Whoopie Pies, by Sarah Billingsley & Amy Treadwell. More than 40 sweet whoopie pies (including Maple Bacon), plus a Bacon Chive Goat Cheese whoopie. Learn more. 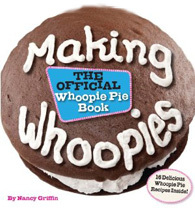 Making Whoopies: The Official Whoopie Pie Book, by Nancy Griffin. Sixteen recipes including healthy, gluten-free and zucchini whoopie pies. Learn more. 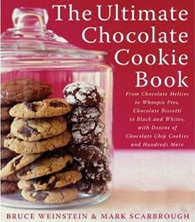 The Ultimate Chocolate Cookie Book: From Chocolate Melties to Whoopie Pies, by Bruce Weinstein and Mark Scarbrough. For lovers of all things chocolate. Learn more. Product reviews, recipes and more. Learn your cookies: bar, drop, molded, sandwich (like whoopie pies) and five more varieties! This delicious, lowfat probiotic yogurt smoothie is so good—and good for you! Certified kosher. The whoopie pie, actually a sandwich cookie with cake-like layers, is attributed by legend to an unknown Pennsylvania Amish woman, who first conceived of sandwiching two round, mound-shaped pieces of chocolate cake with vanilla frosting. The original whoopie pie combined chocolate devil’s food cake with vanilla filling. Today there are dozens of flavors of cakes and fillings. Food historians have more closely traced the origin of the whoopie pie, which first appears during the Depression in recipe collections from several states. Anecdotally, the now-defunct Berwick’s Bakery in Boston (1898-1977) may have been the origin: A retired employee said that the company first started to bake whoopie pies in 1926. So, we’ve got an approximate time and place—much more than we know about most foods. There’s nothing left to do but take a bite. 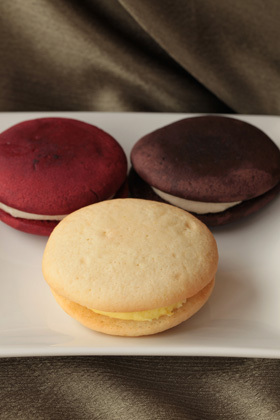 Join us on the next page to enjoy the different flavors of WannaHavaCookie whoopie pies. *Nancy Griffin, Making Whoopies: The Official Whoopie Pie Book (Camden, ME: Down East Books, 2010) p. 17. Do you have friends who would enjoy THE NIBBLE? Click here to send them an invitation to sign up for their own copy. © Copyright 2004-2019 Lifestyle Direct, Inc. All rights reserved. All information contained herein is subject to change at any time without notice. All details must be directly confirmed with manufacturers, service establishments and other third parties. The material in this e-zine may not be reproduced, distributed, transmitted, cached, or otherwise used, except with the prior written permission of Lifestyle Direct, Inc.